This past Christmas and every Christmas, my parents hosted the family brunch – usually the Saturday before Christmas. This allows their offspring and their offspring to be able to fulfill any in-law obligations without stress. Between me and my siblings, our spouses and children and in some cases their children there are over 20 of us. We have aunts and uncles and cousins that come as well. It’s times like that when my parents 4000 sq. ft. house makes sense. I’m straying off topic – and it’s early in the blog. Ok…focus. My parents had us over for brunch and one of the desserts that was made was a Caramel cake. My mother had been asking me to make her a caramel cake for a while, but I just hadn’t gotten around to it and there have been so many request from her that come in, that I didn’t prioritize the caramel cake. I guess she got tired of waiting on me, so they (my father made the cake and she made the caramel) made the cake. My Babydoll loved the cake and has been on me for a minute to make her a cake. 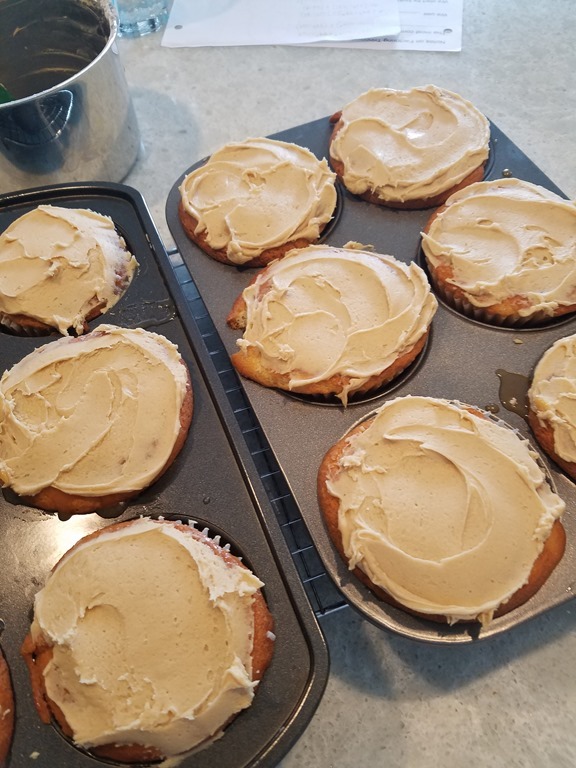 Recently, I decided to make the cake, but with a twist – I was making cupcakes. Cupcakes are so much easier to deal with and a lot easier to distribute. 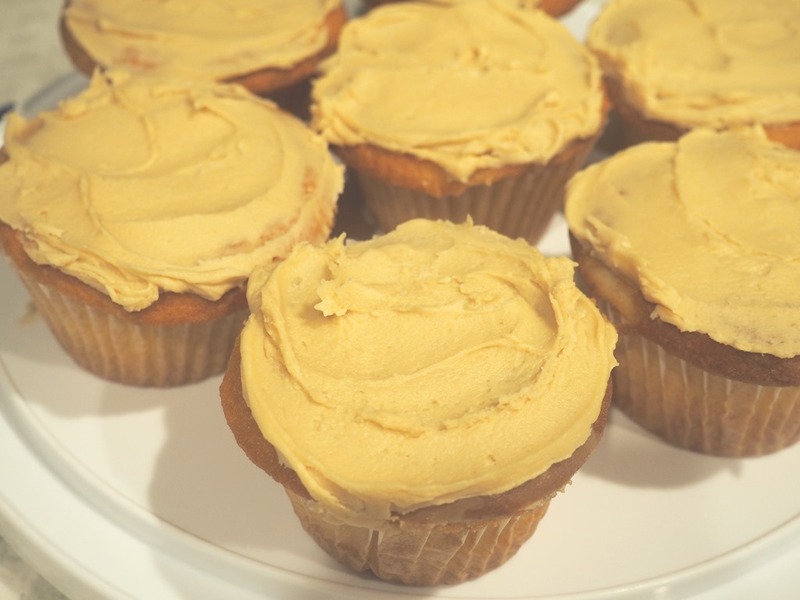 The key with these cupcakes is finding a way to include the delicious caramel filling into a cupcake. 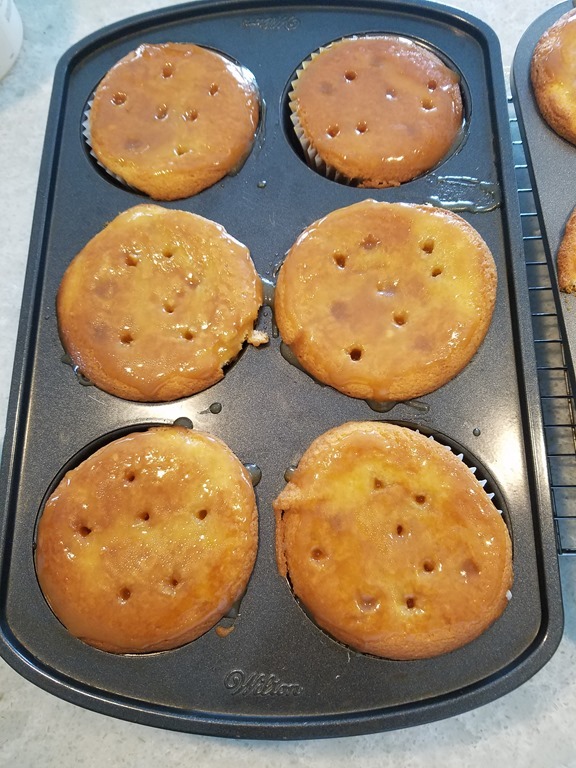 I decided to poke holes using a kebob skewer and allow the caramel to seep into the cupcakes that way. so I added about 1 cup of powdered sugar to it and whipped like my live depended on it, then quickly spread it on the cupcakes. Why was I quickly spreading the icing on the cupcakes you ask? 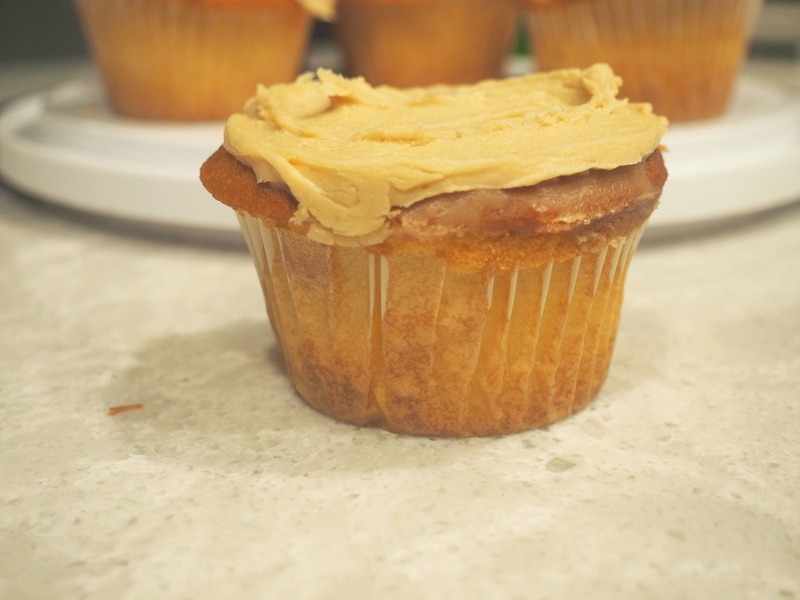 Because if you have ever worked with a caramel icing, you know that it sets quickly. 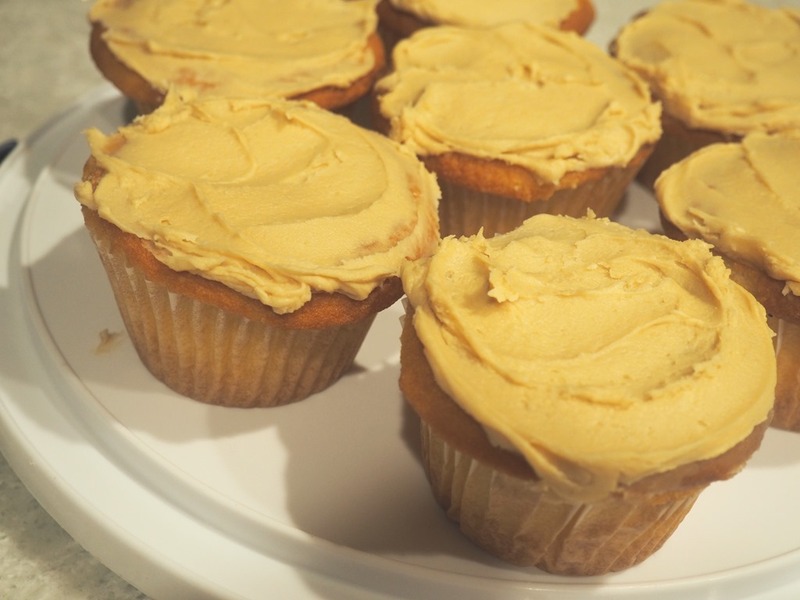 When it was all said and done, I had these amazingly delicious caramel cupcakes. I gave two to my parents to compare with the awesome cake they had made for Christmas. My mother told me that she ate hers and was giving my father 24 hours to eat his, or she was going to assume he didn’t want it and she was going to eat it. My Babydoll was very happy with the outcome, although she was very hesitant at first. The recipe for the cake is a basic yellow cake recipe that I use for most yellow cakes that I got from blog I used to frequent regularly, but haven’t had a chance to look at recently – iambaker.com. The caramel recipe is one that I use with an Apple Caramel cake that I usually bake in the fall. The caramel portion of the recipe is so easy and good that I use it whenever I need caramel. I prefer it to cooking sugar, then adding cream or standing over a pot until the caramel comes to the perfect temperature using a candy thermometer. I hope you guys enjoy it. 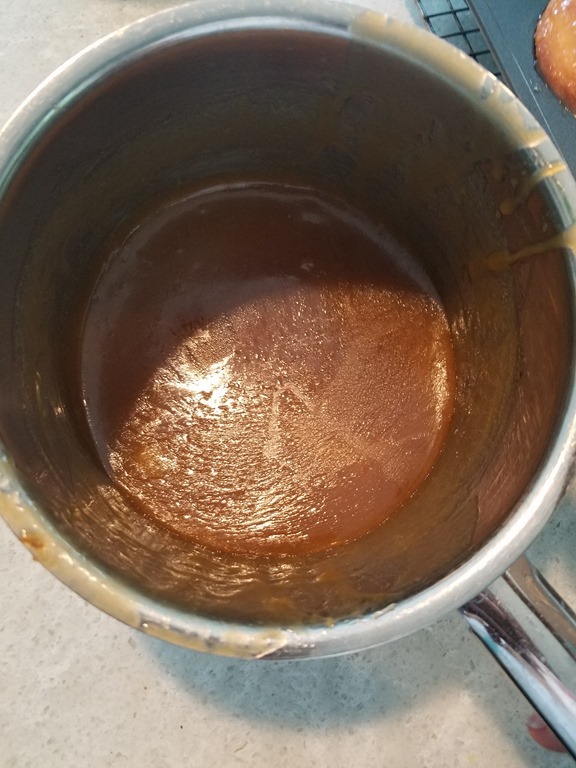 If you have an easy caramel recipe, please share it; I’m always up for trying something new and my family and friends will thank you for it.